Los Angeles based designer Judith Lance is sought for her singularly chic and cultivated sensibility, coupled with her innate ability to interpret and guide her client's desires into environments that are at once elegant, well appointed and functional. Following a successful career in fashion, Judith focused her creative energy toward interior design, drawing from her intimate knowledge of exquisite fabrication, as well as her expertise in managing the process of initial creative development to final design execution. "Fashion and interior design are similar in that a dedicated attention to detail is required to produce what should seem effortless and fresh". Whether designing interior detailing and furnishings or working with dealers and auction houses to find the exceptional, Judith immerses herself in a process of rigorous editing to arrive at a balance reflecting both the sublime and practical. Custom furnishings and decorative objects are frequently commissioned through a creative relationship she shares with artisans worldwide. "There is very little that has not already been designed or conceived of in one manner or another. The collective aesthetic evolves and shifts primarily in response to newly developed materials and technology, as well as, not unlike fashion, the need to cull gestures and philosophies from previous periods. There exists a vast repertoire of design references and the challenge and joy for me is in reinterpreting the details into a composition that both inspires and brings one a sense of well being". 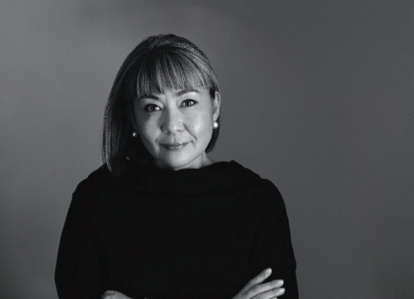 Judith's formative years, based in Tokyo, Manila, New York and Los Angeles, instilled in her a unique aesthetic and cultural range that continues to be the basis for her passion for the decorative and domestic arts. "I was fortunate to witness a remarkable convergence of cultures, as well as exposure to both traditional and modernist design influences during a time of the emerging international popular culture as we know it today."